Listed companies, which are also known as quoted companies, are the ones whose shares are listed on a stock exchange for public trading. To put it simply, if a company is listed, then people can buy or sell the shares of the company. The recent list of Listed Domestic companies in the world reveals that as per the 2015 figure, there are 43539 companies in the world that are listed on stock exchanges for public trading. In 2010, the number of listed companies was 45748. In the database of the countries which have the largest number of listed domestic companies in the world, India stands at the top. The number of listed companies in the country has steadily increased over the years. In 2010, the number of listed companies stood at 5034 and by 2015, this number had increased to 5835. The second place is occupied by the United States. As per the 2015 figures, the number of listed companies in the United States stands at 4381. However, unlike India, the United States has not witnessed a continuous increase in the number of listed companies. Starting at 4279 in 2010, the US saw a dip in the number next year at 4171. This further decreased to 4102 in 2012 and thereafter started to pick up. 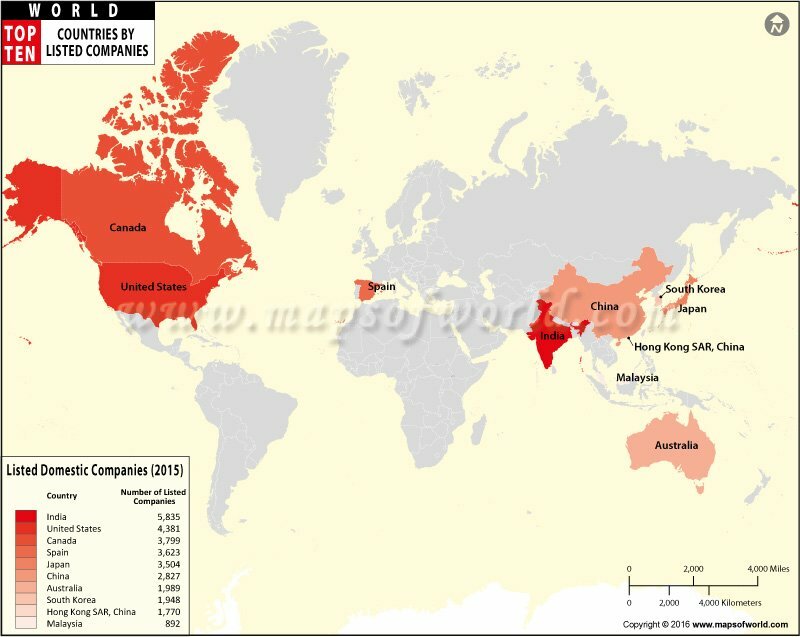 Similarly Canada, which stands at the third position, too, has shown inconsistency; as per the 2015 figure, there are 3799 listed companies in the country. The year 2012 witnessed the largest number of listed companies at 4030. Spain at the fourth spot and Japan at the fifth spot are home to 3623 and 3504 listed companies respectively. 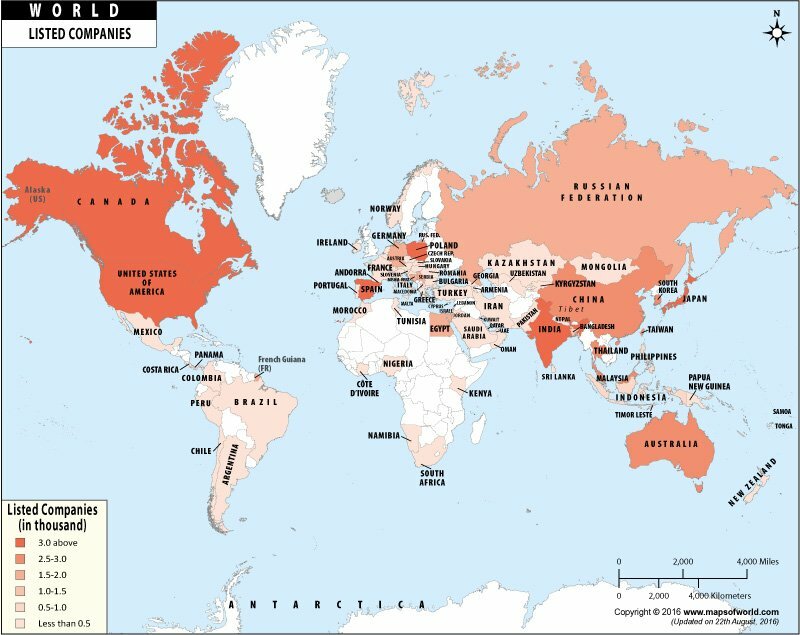 Below you will find a table which shows the top 50 countries which have the largest number of listed domestic companies in the world. The list will also show the increase in the number of companies from 2010 to 2015.